E. M. Forster’s beloved Italian novels, now in a single hardcover volume. 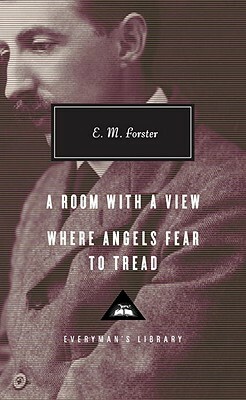 Forster’s most memorably romantic exploration of the liberating effects of Italy on the English, A Room with a View follows the carefully chaperoned Lucy Honeychurch to Florence. There she meets the unconventional George Emerson and finds herself inspired by his refreshingly free spirit— which puts her in mind of “a room with a view”—to escape the claustrophobic snobbery of her guardians back in England. The wicked tragicomedy Where Angels Fear to Tread chronicles a young English widow’s trip to Italy and its messy aftermath. When Lilia Herriton impulsively marries a penniless Italian and then dies in childbirth, her first husband’s family sets out to rescue the child from his “uncivilized” surroundings. But in ways that they can’t possibly imagine, their narrow preconceptions will be upended by the rich and varied charms of Forster’s cherished Italy. E. M. Forster (1879-1970) was an English novelist, essayist, and short-story writer, and the author of A Passage to India and Howards End. Ann Pasternak Slater is a writer and former Fellow and Tutor at St. Anne’s College, Oxford.